What’s your story and why have you chosen to be an independent business? (Bonnie)I think we’ve always been local people. We owned convenience stores when we lived in Florida and we felt like we were part of the community there. I think coming to Durango, we were seeking out that same feeling of being a vibrant member of the community. (Mike) We’ve had a small business for over 30 years, that’s always been our gig and I think the main reason was the town I originally grew up in. I knew a lot of people there and it was always great to give back to those people and to the community. When we moved to Durango, we wanted to be a part of the community here too and that’s how you give back is by having a small business whether through employment or donations, we play a pretty big part in helping people out here and we like it. Where do you donate to? (Bonnie) I think that kids and all of our non-profits. Land conservation is a big one and we find that really important. Any time we can help people we’d like to. A few I can think of are ”She Jump” which is getting girls outside and we supported a fundraiser for that, Big Brothers Big Sisters, The Boys and Girls Club, or any of our customers. We had one customer who passed away in a motorcycle accident, we tried helping out with that. Annie’s Orphans, Humane Society, KSUT, KDUR, all of the above. When you’re a part of the community, it’s really hard to say ‘no’, we don’t really very often. The donations are sometimes smaller–if we’ve made a large donation–the La Plata Greif Center is close to our heart so if we’ve made a donation to them, some of the others will be smaller. (Mike) We were just talking about what would be a good group to work with for this fire and everything that’s going on and we’ll probably be making a donation in the next day or two for that. What do you guys think you can offer as an independent business that chains can’t offer? Also, tell us more about Colorado potentially offering liquor in grocery stores. (Mike) it’s interesting, we’ve tried to fight the bill and a couple years ago we thought we were going to lose because the big chain grocery stores have all the money. 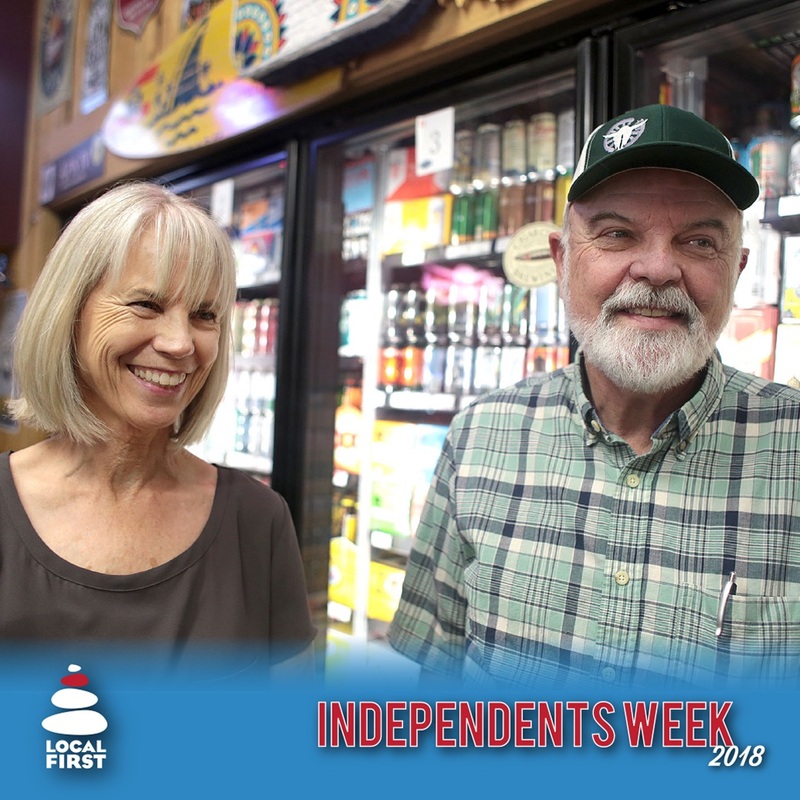 They’ve got 30-40 million for a campaign and I think we as independent liquor stores, scraped together 10 million and we saw that if the law would have passed the ballot, we would have been out of business–we would have been done. Doors locked, out of here. But we gave the grocery stores a compromise and let them sell beer. So hopefully we’ll still stick it out because if you look at everything we have in here it’s a lot of stuff that they wouldn’t stock. They’re not going to cater to the local brewers or the local customers. We’ll take a hit, but like I said, even when the grocery stores are taking off, if we take a hit, the community takes a hit too. The big guys aren’t giving money back. 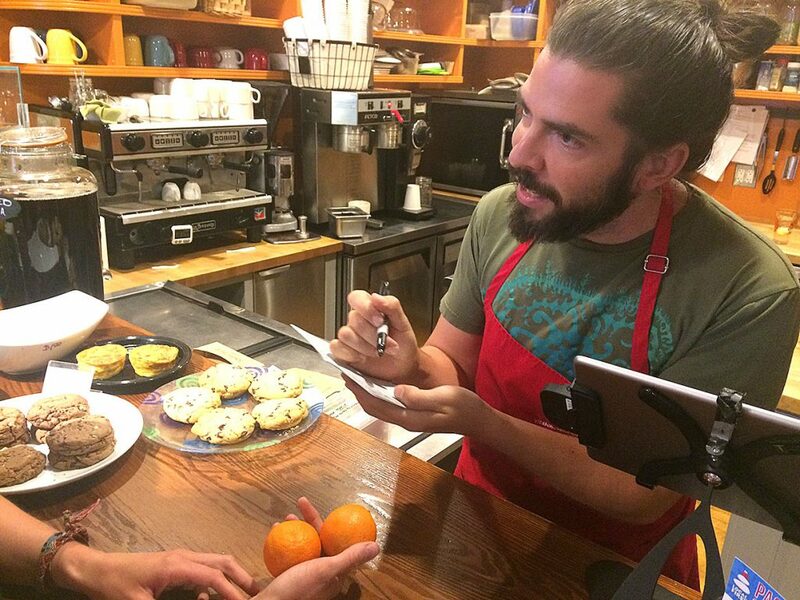 And even some of the coffee shop franchises–I’ve never seen them give anything to this town–not a nickel. (Bonnie) You may see the chain coffee shops give a $5 or $10 give card or maybe a box of coffee. If you stop and think about any of the fundraisers you’ve been to in our community, if it’s not sponsored by us then it’s one of the other liquor stores in town. Those other liquor stores too, I don’t even want to call them our competitors because we’re all doing something a little different, but they’re always supporting these non profits–we all have our favorites and do you think the (chain) grocery stores are going to do that? And that’s my concern and I think that’s where we’re going to rise above because we’re going to have the community come back to us. That’s my hope. As we continue to be giving we’re going to have those community members continue to support us. (Mike) We just got done doing the Women’s Resource Center “Men who Grill” and I don’t think they raised much because unfortunately it was a bad weekend so the turnout was low, but we spent a lot of money doing that event, as do all the other people that help put it on and it’s worth while. I didn’t see any of the big guys there. And I get it, it’s all part of our world now, but cheap is not always better and sometimes you’re actually not saving much at all. What are you guys doing for 4th of July this year? (Bonnie) I think we’ll be working, it can be a really fun time to be in the store. It can be really interesting. We’ll have dinner downtown, but I don’t think we’re going to go anywhere. We’ll find something, maybe a little fishing, we both like to fly fish–but we’ll be in town for the 4th of July. Have you used your passport yet? Participating businesses are eager to sign it! Have you used your passport yet?? Participating businesses such as The Smiley Cafe in the Smiley Building are now giving out their stamps!